The plot in one sentence: Nick and Amy are broke and trapped in a dysfunctional, failing marriage, when on the morning of their fifth anniversary Nick returns home to find the door wide open, a struggle in the living room, blood all over the kitchen floor, and his wife gone. Dun dun DUN. Finally, a vindication for the murder/thriller/suspense genre, screaming “What is suspenseful need not be fast-paced, what is murder mystery need not be hokey, and what is crime drama need not have two-dimensional characters!” Because Gillian Flynn has finally brought us a story that is as absorbing as an episode of Law and Order: SVU, with characters who are as developed and believable as George R. R. Martin’s. And this means we actually care what happened to Nick’s wife Amy when she disappears from their suburban Missouri home on the morning of their fifth anniversary. We begin to experience actual sympathy for him as the evidence starts to incriminate him, and then a slowly mounting sense of suspicion and horror as we read Amy’s diary entries about their failing marriage and find ourselves begin to suspect our own protagonist of murder. But the twist. Oh, the twist is so good. 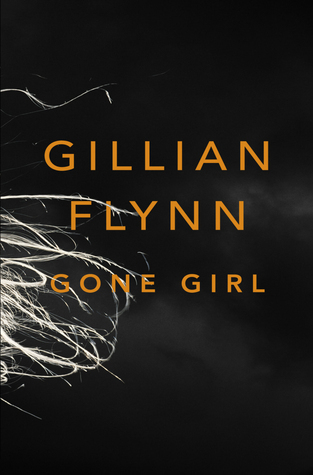 I won’t spoil it for you, but all I’ll say is that Flynn writes a great psychopath. Perhaps it takes one to know one.